Since my children are ages 5 and below, the most important thing that I am currently teaching is preschool reading. I want my children to learn to read and to love it! 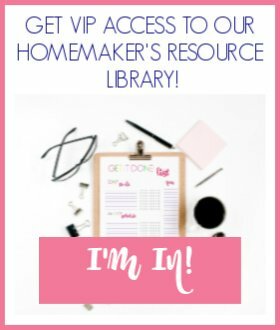 Anything that can help reinforce the skills I am teaching is greatly appreciated! 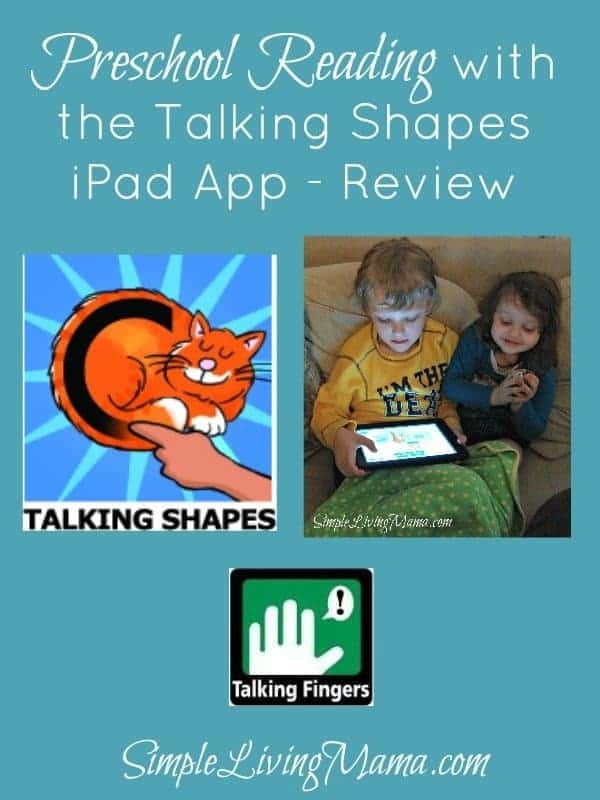 We recently got the opportunity to review the Talking Shapes iPad App from Talking Fingers, Inc.
How Does the Talking Shapes iPad App Work? You will need an iPad that runs iOS 6.0 or later and an iTunes account to purchase this app. This app is designed for preschool to kindergarten age children. The main focus is to teach children that the words that they say can be made into words that they see. 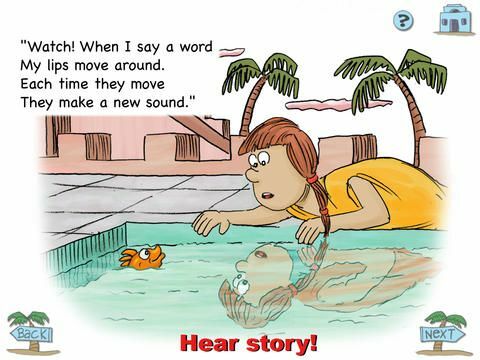 There are three stories that each teach six phonemes. 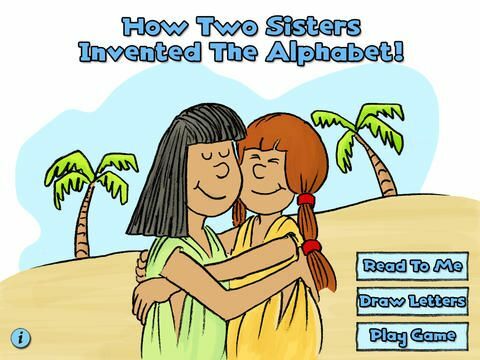 The stories are about two sisters who invented the alphabet “long, long ago.” Children learn that letters stand for speech sounds and through the app they will associate each letter with a picture (Talking Shapes) that will help them remember the sound and shape of that letter. The stories are interactive allowing children to say and record the words that they learn. Children will also draw the letters with their fingers on the screen. Another aspect of the app is the games. Through the games children will learn how to sound out and spell three letter words. They will also eventually read the words that they have learned to spell. I used this app for both Bug (5) and Sis (3). The children took turns playing the app at least three times per week. We are working on phonics in our current curriculum, so it was great to reinforce the sounds that we were already learning with a fun app that really kept the kids’ attention. 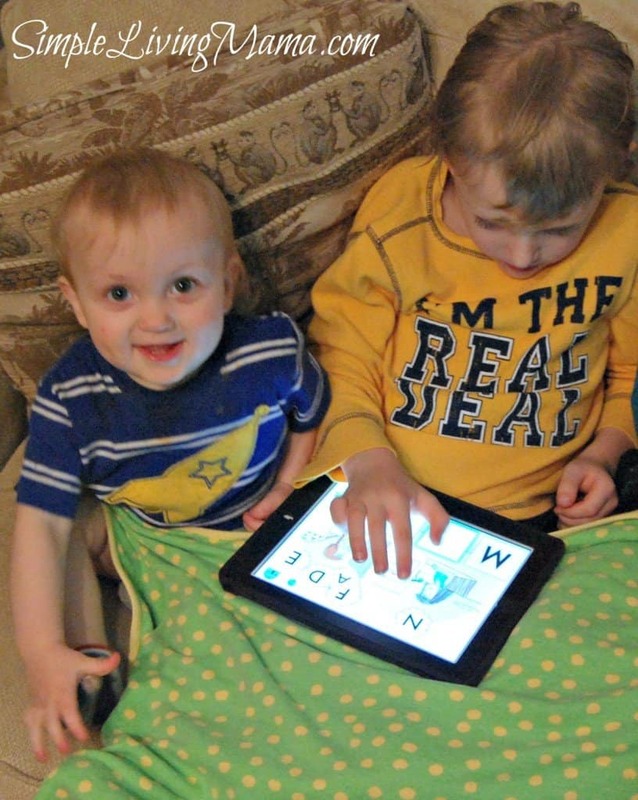 During iPad time, I would sit with my children and help them. They wanted to skip around and just bang on the screen, so I needed to guide them a little bit. We began with the first story where we met the sisters, Pat and Nat, and we learned how they invented shapes to coincide with the sounds that they say so they could “write” the stories. In the first story we learned the words cat, fat, sat, and hat. 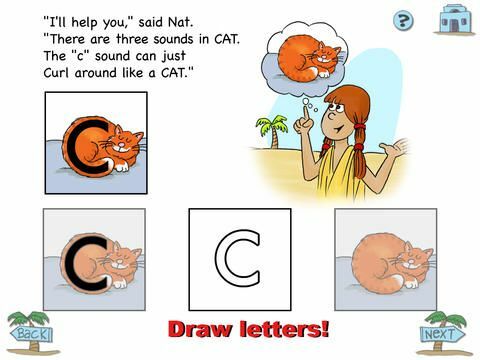 The “c” sound was associated with a curled up cat, the “a” sound with the arms of an acrobat, the “t” sound with a tree, the “s” sound with a snake, and the “h” sound with a hat. The kids learned how to draw these letters and create the words with a game. There are two other books in the game that each teach six new phonemes. The children look forward to using this app during iPad time. The voice of the woman reading the story and directing the app is very engaging and the stories are cute and funny. My kids liked the interactive components of the app. When a story is read, the child can touch the screen to make things happen. For example, they can make a little fish jump out of the water or pop a thought bubble. I liked that the children were associating the sounds with pictures and they were attempting to learn how to correctly form letters. I had a couple of technical issues with the app. 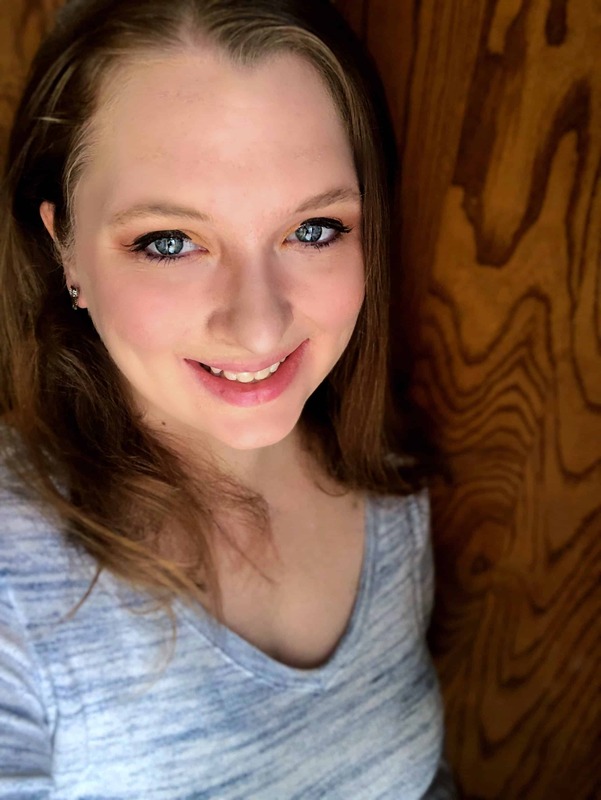 The app never recognized my children’s voices when they were to repeat a word. That was frustrating for the kids. My other issue was with the actual drawing of the letters on the screen. Instead of correctly forming the letters, I found my three year old just running her finger back and forth over the box and the app automatically filling in the letter shape. I am not sure of a good way to remedy this. She just found she would rather “scribble” to fill in the letter and it worked. Overall, we really enjoyed the Talking Shapes iPad app and I think it is a great tool to help reinforce the preschool reading lessons you are already doing with your child. You can purchase the Talking Shapes iPad App on iTunes for $5.99. Find Talking Fingers, Inc. on Facebook and YouTube.